Stacy Brotemarkle remembers when she was a 12-year-old, tagging along with her parents while house hunting. For most kids, hours and hours of showings and trekking through home after home can be boring and tedious, but Brotemarkle remembers it all fondly. But unlike her musical ambitions, interior design stuck with her through high school and onward. Right after graduating high school, Brotemarkle went to work for Hawkins-Welwood Homes, later graduating from the University of North Texas with a BFA in interior design. 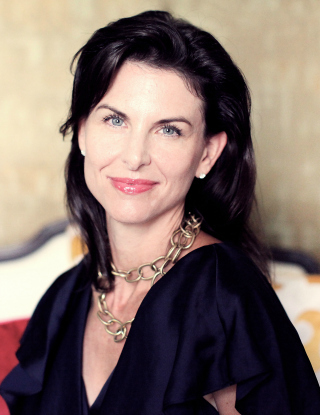 Today, Brotemarkle is the vice president and lead interior designer at Bella Custom Homes, one of the foremost luxury custom builders in North Texas. Fresh, energizing, and reviving — just the description of what the world needs now, even if only in the form of the Pantone Color of the Year. 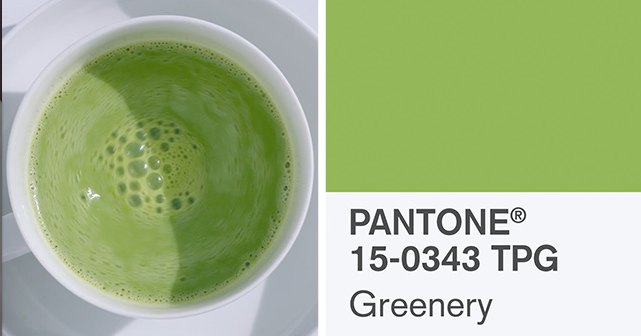 The color Greenery serves as a symbol of new beginnings, springtime, flourishing foliage, and a renewed abundance of beauty in nature. For Dallas interior designer Sharon Flatley, a Barbie Dreamhouse began her passion. She got it as a present when she was eight years old and knew then she wanted to design. Fast forward a few decades, and she’s still creating roomscapes and great design, but on a grander scale with her firm Sharon Flatley Design. 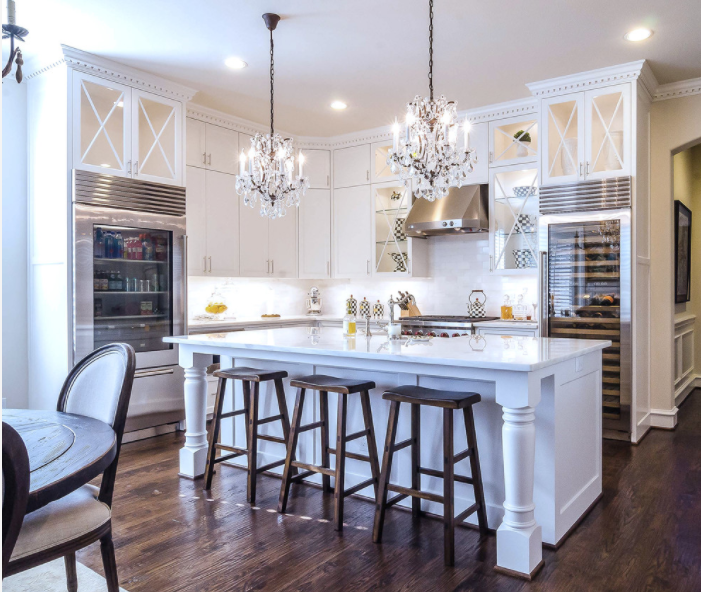 She specializes in kitchens and bathrooms, creating classic and timeless spaces. Flatley loves the process, from concept to completion. Every city in America has one. You know it when you see it. Whether it’s the architecture, location, or landscape, there is always a street in the city that is simply magical. In Fort Worth the most magical and inspiring street is Elizabeth Boulevard. The main artery of the Ryan Place neighborhood, “in 1979 Elizabeth Boulevard joined the National Register of Historic Places, making Ryan Place the only residential historic district in Fort Worth.” Located off Eighth Avenue and a few blocks from the Near Southside, Ryan Place and Elizabeth Boulevard epitomize all that was great about classic neighborhoods when they were built in the early 1920’s and 1930’s. 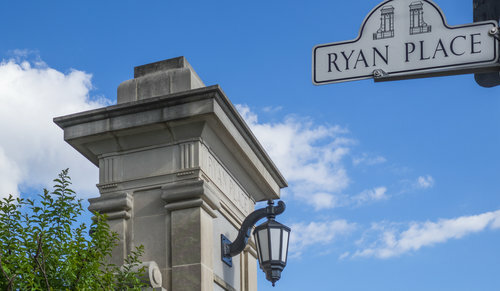 This boulevard, and the classic homes of character that comprise Ryan Place, will be showcased during December 3 and 4 as part of the 33rd annual Candlelight Tour of Homes which promotes the annual historic preservation fundraiser of Ryan Place. Tickets can be purchased in advance for $15 each During the tour, tickets can be purchased at the Ticket Booth at St. John’s Church for $20. St. John’s Church is located at 2401 College Avenue in Fort Worth. You may use the same wristband for both days if you wish. Tickets are non-refundable. 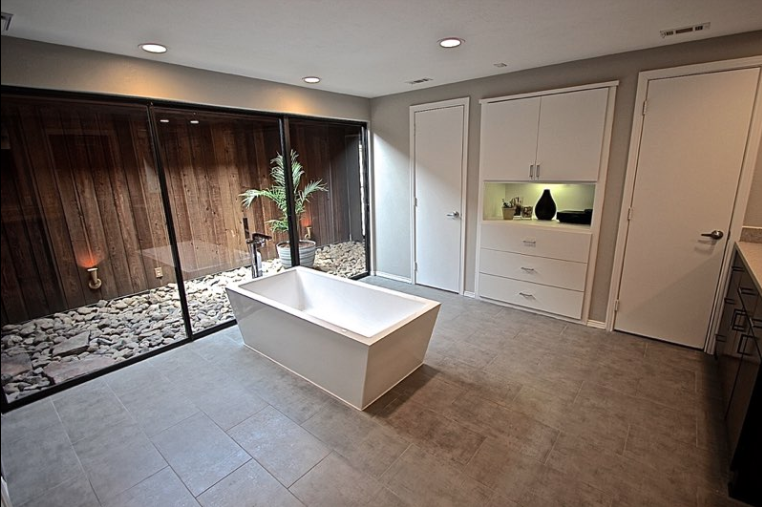 The master bathroom at Kevin and Brad Twitty’s house. They transformed a 1970’s ranch into an elegant, fun space with original character and modern looks and function. Have you ever wondered if interior designers live in homes as fabulous as the ones they create? One of our favorite designers, Kevin Twitty of IBB Design Fine Furnishings in Frisco, is giving us a sneak peek into his soon-to-be-listed house, and showing us before-and-after photos of the 1970s ranch he and his partner Brad bought three years ago. As you can see, Kevin and Brad have made exactly the kind of stylish, elegant, fun space you would expect of one of most creative designers in Dallas and his significant other. Located at 9701 Vista Oaks Dr., this is a 3,314-square-foot home in Town Creek, near Royal Lane and Abrams Road (located in Richardson ISD). The couple made a conscience effort to enhance the charm that was already in the home by preserving original stonework and natural cedar in the great room atrium, master bath atrium, and covered outdoor patio. “It’s amazing how the home’s original character can looks so fresh when you modernize the elements around it,” Kevin said. Their partnership was perfect for creating this space—Kevin is an interior designer and very much about the creative inspiration; Brad is a project manager at an IT consulting firm and focused on the function side of things. Together, they made magic in this renovation. This property will be listed Wednesday by Ray Mach of Raymond Leon & Associates for $524,900, and there is an open house Sunday, April 24, from 12 – 2 p.m. 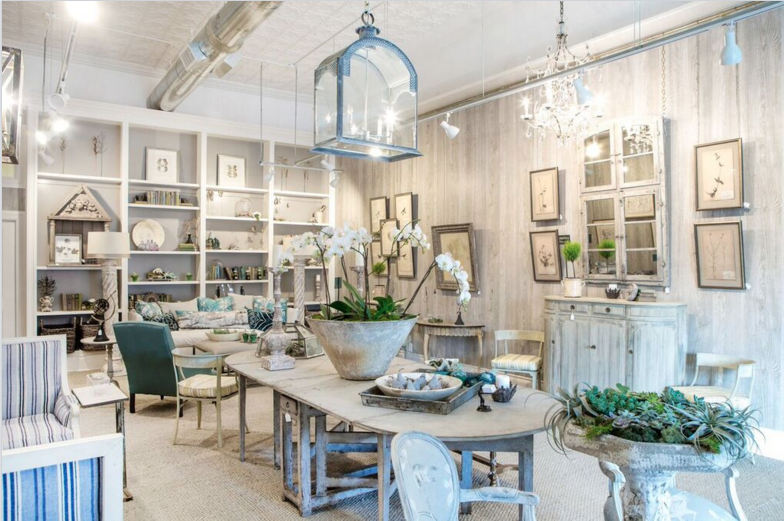 The phrase “to the trade only” means interior designers can purchase lots of fabulous things regular folks can’t. Many stores and showrooms in the Dallas Design District and around the city are “to the trade only,” so you can look, but you can’t buy, unless you’ve got a designer on speed dial to meet you there. Interior designer Kristin Mullen in front of her new Snider Plaza shop, Curated by Kristin Mullen. 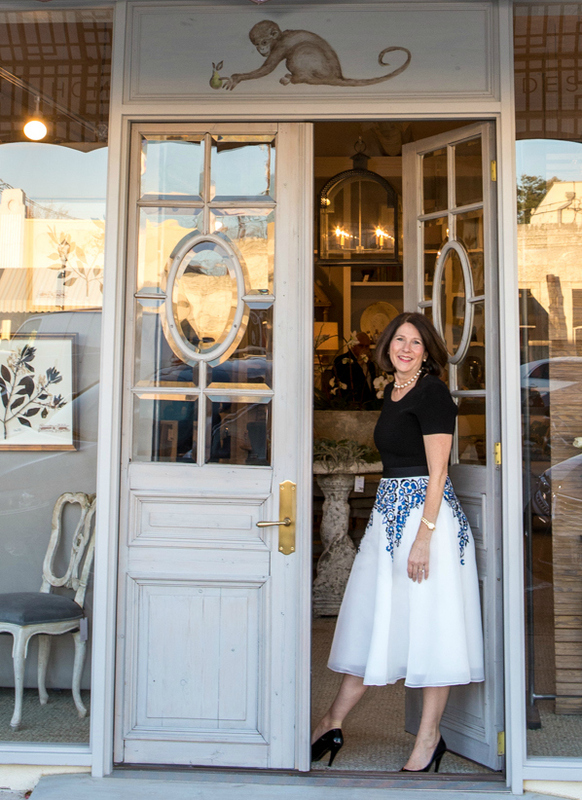 Dallas interior designer Kristin Mullen is bucking that trend with her first home decor boutique. She recently opened Curated by Kristin Mullen in Snider Plaza. In this 800-square-foot space, designed to feel like a home, Mullen is showcasing “a few of her favorite things,” as she describes the current aesthetic. These are types of items that would regularly be “to the trade only,” but this store is open to everyone. You’ll find furniture, accessories, case goods, and lighting, all either custom designed by Mullen, or hand-selected because they’re unavailable anywhere else in Dallas. Some of her favorite things include aspects of the outdoors, the patina of old objects because of the texture and interest they bring to a space, and the juxtaposition of rustic or “crusty” textures with a clean-lined piece. Mullen will be changing the look of the store four times a year to reflect a new theme. North Texas native Shelly Lloyd took a circuitous route to her career as an interior designer, discovering along the way that her fashion acumen, passion for art, and globetrotting translated beautifully into creating sophisticated, authentic interiors with unexpected twists. Her Dallas company, LeDaire Design, is in for an eventful year, expanding to a satellite office, rebranding in February, and building on an original concept called “Work the Room” that marries her professional expertise with a client’s DIY creativity. Jump to read more! As soon as the weather heats up, so with the Dallas real estate market. If you need to refresh your memory on the best strategies to use to get your home on the market and sold, veteran interior designer Margaret Chambers offers her advice. To find out how to get your home ready for a professional photographer (which we absolutely suggest you invest in), check out what this seasoned professional has to say after the jump! If you’re having trouble selling your home, you might wonder what your options are. Home investors and real estate agents know that when you need to sell a home fast and for a profit, staging is the answer. A well-staged home will not only sell two to three times faster than an empty or unattractively furnished home, but turn a higher profit as well. 1. Have you had potential buyers through your home, but no offers? 2. Have similar homes in your neighborhood sold, while your home is still on the market? 3. Have you been thinking about lowering your asking price? If you answered “yes” to any of these questions, consider making a consultation with a home stager. 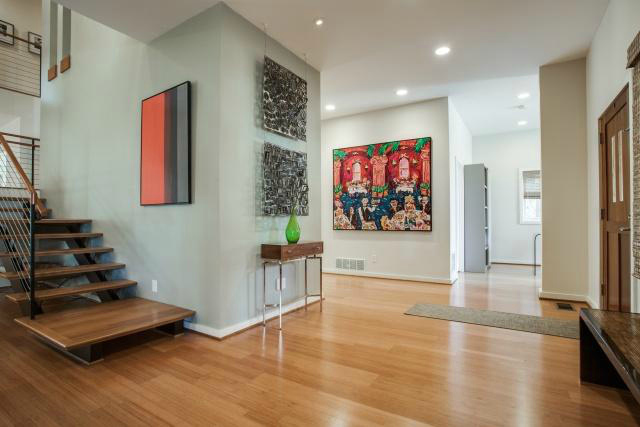 Home staging is not a licensed profession, so it’s important to do your homework. Ask to see a portfolio and a list of references. Even if you don’t work with a professional home stager, there are many simple things you can do to give potential buyers a great first impression of your home. Keep the porch clear, and put a fresh coat of paint on the front door. Placing pots of flowers and keeping your lawn manicured will help bring prospective buyers to your door. Make sure to clear your closets and shelves of excess clutter. Potential buyers want to imagine how they’ll use those spaces — they don’t want to see how you’ve filled them up. If your wallpaper is dated, remove it and apply a new coat of paint. If in doubt, choose a neutral color rather than a bold one. As a professional interior designer, I have worked with builders, condo developers, and home owners to stage their empty spaces and homes. 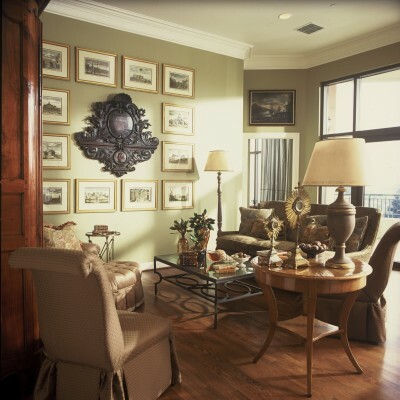 I have seen first-hand what a differences it makes when a prospective buyer walks through a beautifully staged home. They get excited because they see the house at its best and can imagine themselves living there. 1. 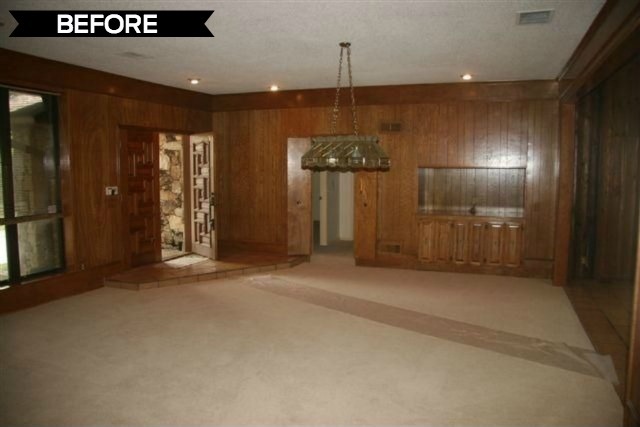 When a room is empty, potential buyers focus on the house’s flaws instead of falling in love with the overall space. 2. Many people have trouble visualizing how furniture will lay out in a room. If they are uncertain, they won’t buy. investment. Home staging is all about packaging a home to show off its best features. 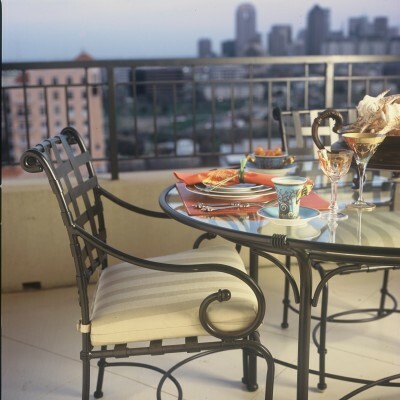 More importantly, home staging is about romancing the buyer and getting them excited about your home. 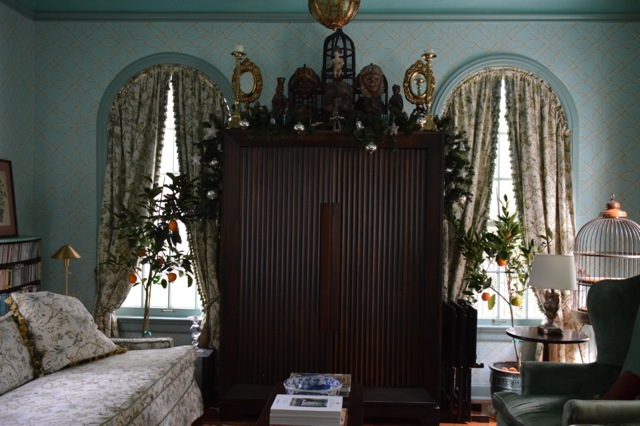 An interior designer for the most discriminating clients, Margaret Chambers is able to achieve the exact looks that her clients envision for their homes. 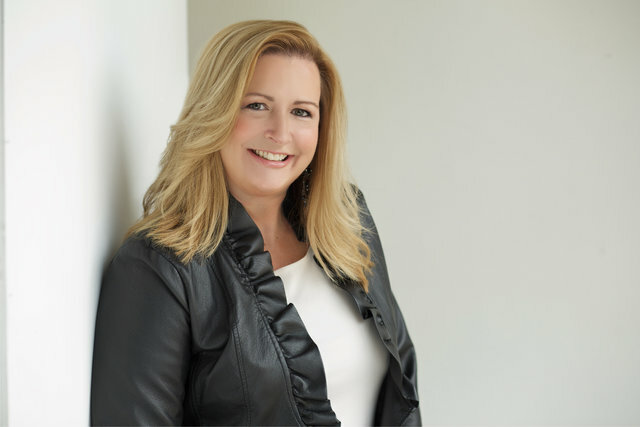 She has more than 60,000 hours of interior design experience to her credit, and her work has been published in more than 20 industry books and magazines. 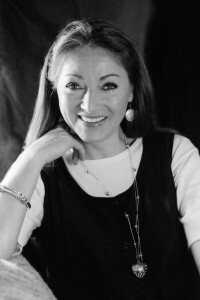 Chambers’ experience, innate talent, and European studies enable her to confidently mix different styles, techniques, and cultures. 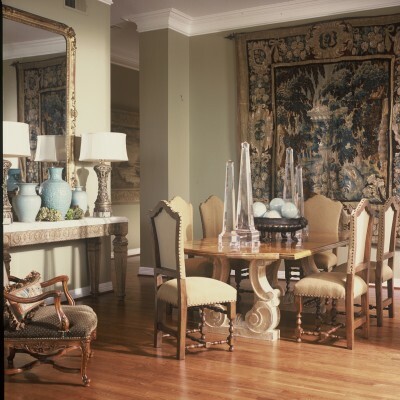 Her work has earned her state and national awards from the American Society of Interior Designers, and she has been named a Best Designer in Dallas by D Home for eight consecutive years. Sought after by clients who understand the value of superior professional design, Chambers and her team at Chambers Interiors & Associates, Inc. are beloved by clients for the spirit of collaboration that they bring to each project and their willingness to share in the creative process, not control it. 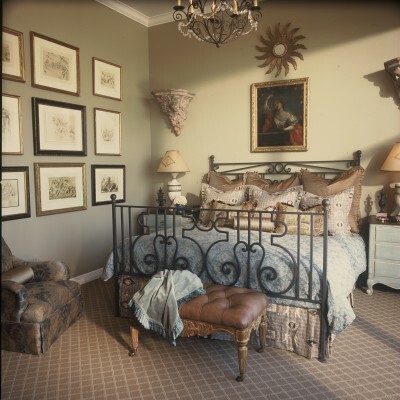 You can view her portfolio at www.chambersinteriors.com.